I just trained this recipie this morning and I was only able to learn it at 390. I have been doing my quests in Borean Tundra, skinning, and leveling my LW. I trained at 375, leveled to 385 and this morning went over to Howling Fjord to train. I learned a whole bunch for 380 and 385 and then made some more stuff to get to 390, only then could I train Heavy Borean Leather, which was already yellow. can this be skinned directly off a mob? Afraid not, you basically skin for the leather scraps which can be combined by anyone into regular Borean leather, then an actual leatherworker has to take I believe 5 of those leathers to make 1 Borean heavy leather. Can you skin this from mobs or is it only made through Leatherworking? Right now, the average AH price for Heavy Borean is so low, I make more money farming Frostweave than by skinning Heavy Borean Leather. I've read quite a few similar anecdotal reports from other players on the official forums.That's sad. I hope Blizzard has plans to increase the number of items that require the leather as a reagent, or maybe re-introduce something like the TBC LW drums that made skinning mats so in-demand. Arctic Fur sells, but the drop rates are so random it's hardly a dependable item to farm. As it stands, it's difficult to make a decent profit off of skinning in WotLK. Edit: My post is on a valid topic for discussion -- the unusually low prices of skinning materials (and Heavy Borean Leather in particular) in WotLK. What's with the relentless modding down of posts here? So does that mean we herbalists/miners should be crying about our nodes start droping green, and sometimes blue/epic BoE gear ? What about giving us herbalists/miners the chance to get gree/blue/epic gear from our nodes/plants? how does that sound? This is very server dependent. On Llane, a stack of Frostweave goes for about 20 gold, versus the close to 90 gold I see your average stack of heavy borean going for. Your server probably just has an overabundance of skinners compared to what sometimes feels like I'm one of maybe a dozen on mine (I seriously get about 3/4 of my leather just picking off corpses I find sitting around untouched). On Uldaman, a stack of heavy Borean leather costs about 75g for a stack. A stack of Borean leather runs about 11g currently, but there are so many skinners on this sever that it's profitable to sell. One eredar, Heavy Borean Leather sells for upwards of 100g. I've even seen as high as 120g on eredar. Similar to miners being able to smelt ore into bars. On Trollbane, I'm pricing at 100g a stack. I could probably get more but with the new craftable 245 lvl patterns out (I'm a LW too) why be greedy. There is a blue post stating that in 3.3 "Arctic Furs can now be traded for 10 x Heavy Borean Leather in Dalaran." I believe this will drastically increase the price of those in AH. Personally I am stacking Heavy Borean Leather in good numbers in my bank. Hopefully that will turn into gold after a month or so. 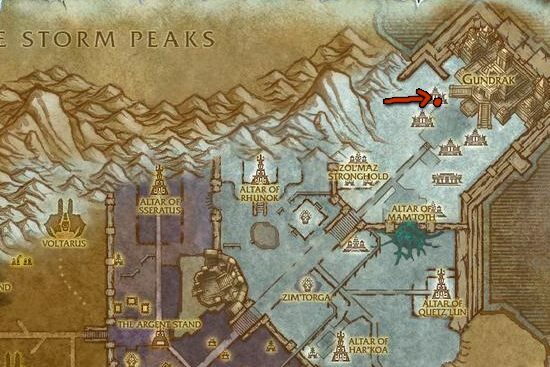 Best location I have found for farming Borean Leather is in Sholazar Basin. I think the point is that you can get many stacks of frostweave in the time it takes to get a single stack of heavy borean leather. I get more frostweave on my skinner than I do leather. I make much more profit on my skinner selling meat than I do leather... I just don't get enough. Currently: All patterns come out to 114 Heavy Borean Leathers. These do not sell for much more than 5 gold on my server. Since the deposit on the AH is so expensive, it's not really worth the risk of getting undercut to hell to sell them on the AH. Just hold onto them and make drums to sell. I am sure people are not doing raids with paladins and druids (Yes, sarcasm. It is not a good time to be a leather worker). For a while my server's price of Heavy was also low. (10g a stack) while Arctic Furs were selling for 45-50 each. You can buy Arctic Fur for 10 Heavy's. I quickly turned 10g into 100. It all lasted about 2 weeks till other people caught on, and now Heavy's are going for around 90g+ a stack. If your server hasn't caught on, start to invest. I have just sold 100 Thick Leather for 80g/stack and bought 200 borean leather for the same amount of gold. So in the AH right now the 1 thick leather = 2 borean leathers so for all those leatherworkers out there I suggest you farm Thick leather and buy yourself Borean leather. Any leatherworker reading this now (5.3, the whole Darkspear Revolution thing is going on, troll transmog gear is popular) might do well to visit Braeg Stoutbeard right outside the AH and Dalaran and at least purchase Pattern: Trollwoven Spaulders. They are some great, trollish leather spaulders that would go well with many custom transmogs out there today... or you might want them for your own transmog. The pattern costs cost two Arctic Fur, which can also be bought from Braeg Stoutbeard for ten Heavy Borean Leather. The list of mats required to actually make the spaulders may look intimidating, but if you keep an eye on the AH you should be able to get deals on these mats, which obviously aren't in as much demand as they once were. I find Most of these post to be unhelpful, Please post things about where it can be found/farmed, Thank you. it made me sad to not see a farming spot Here ya go guys. If you're wondering why there is no "Skinned from" tab, it is because Heavy Borean Leather cannot be skinned. It is produced from Borean Leather using the leatherworking spell Heavy Borean Leather which is taught by a trainer @ level 390. Popular instances to farm Borean Leather are The Violet Hold and Gundrak. Other suggestions are on the Borean Leather page.